in aeronautical engineering from the Naval Postgraduate School in 1963. 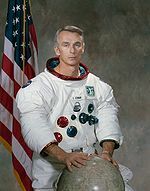 Eugene Andrew Cernan (born March 14 1934) is a retired United States Navy officer and a former NASA astronaut. That America's challenge of today has forged man's destiny of tomorrow.